Home / Mediateca / Locandine / RINNOVIAMO IL CONTRATTO IN TEMPI BREVI! RINNOVIAMO IL CONTRATTO IN TEMPI BREVI! 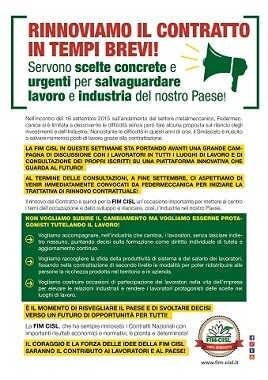 SERVONO SCELTE CONCRETE E URGENTI PER SALVAGUARDARE LAVORO E INDUSTRIA DEL NOSTRO PAESE!